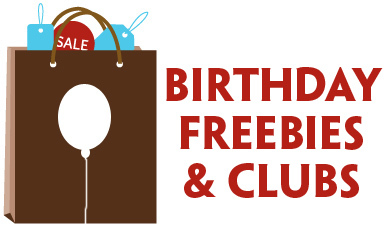 Freebie Friday: Marriott, Mountain House, Target + More! Through 8/15/15, Amazon.com is offering $90 worth of Andoid apps and games for FREE! These include: Docs To Go Premium, Montezuma Puzzle 3 Premium, Mind Games Pro, Call of Atlantis, Trainyard, Scribblenauts Remix, Sonic the Hedgehog 2, and Fruit Ninja. Take a short survey to receive 100 FREE Marriott Rewards points. Offer available for a limited time only. Not a member? Sign up here (it’s FREE). Sign up to receive a FREE 2015-2016 Daily Encouragement Calendar from Mission Network News and Family Christian Stores. Offer available while supplies last. Text SURPRISEME to 73277 on your cell phone to receive $5 in Shop Your Way Surprise Points. If you already receive SYWR texts, text STOP to 73277 first. Not a Shop Your Way Rewards member? Sign up here, it’s FREE! Don’t forget to add me as your personal shopper for a chance to get additional offers throughout the year. Here are this week’s best FREE magazine subscriptions: Maxim (one-year print), Nylon (one-year digital), Runner’s World (one-year print), Plumbing and Mechanical (one-year print). 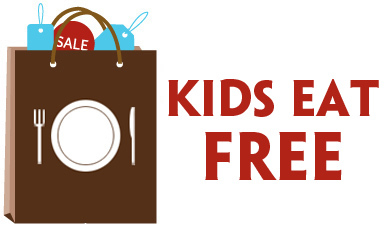 Get a FREE individual Mountain House Meal Pouch for FREE after this mail-in rebate. This product can be found at many outdoor recreation stores or online. Must be purchased by 9/12/15 and postmarked by 9/19/15. Get one of 25,000 FREE treats from Victoria’s Secret (they don’t mention what the treats will be). Just register here to be notified when the offer goes live. When it’s live you can sign up. The sooner you do, the better your prize will be. Enter the Disney Baby Capture the Moment Sweepstakes and get a coupon good FREE 8×10 with no sitting fee at Target Portrait Studios. Sweepstakes ends 8/30/15. See official rules for complete details. Click here to find a location near you. Play the Juicy Makeover Instant Win Game for a chance to win one of 1,000 coupons for a FREE Juicy Juice product (up to $5). You could also win one of 100 $100 Zulily gift cards. Play up to once per day through 9/10/15. Get a coupon here good for $10 off your purchase at Bonefish Grill. Expires 8/24/15. Excludes tax, alcohol and gratuity. Offer good when dining in after 4 p.m. at participating Bonefish Grill locations. Not valid for Hooked on Tuesday. Click here to find a location near you. Spend 2o My Coke Rewards points to get a FREE amusement park ticket at participating Cedar Fair Amusement Parks including Cedar Point, Knott’s Berry Farm, and Kings Island. To qualify for this offer you must have been a MCR member prior to 7/15/15. Offer is good through 8/14/15 or while supplies last. Ticket is good through 9/7/15.